This was another Potency/Sherpa collaboration that was a pleasure to work together on. We had been big fans of TJ's since visiting their locations in Eugene on a trip there a few years ago. Not only were they growing some of the best flower in the state, their dispensaries were beautiful inside and out. 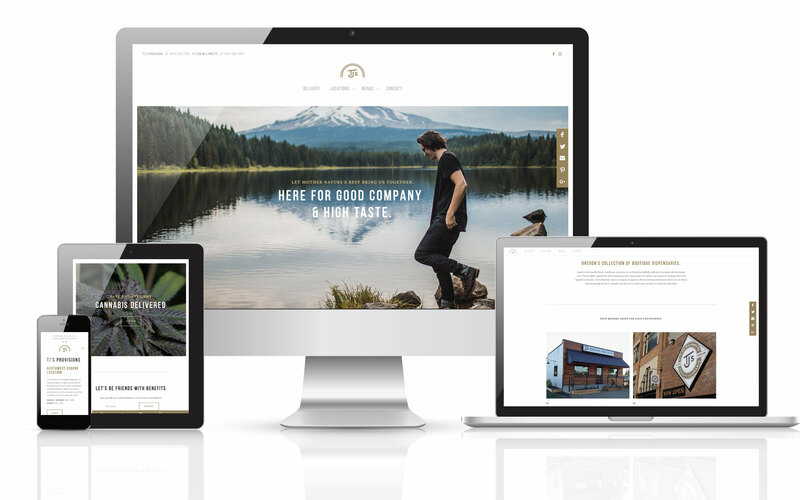 They already had a nice SquareSpace site, but wanted the value that SEO can bring to a dispensary. Our job on this project was to re-build their site to look exactly as it was in it's previous form. With that in mind we set out on our journey. Re-building a site can be tricky business at times. Luckily, the site was modern, and had a simple, clean design and great functionality. Once the site was rebuilt we applied our 100+ point checklist along with our off-page SEO. Using the content that was already on the website, we wrote location pages, with direction from Potency and TJ's for each location that fit their brand identity. Location pages are a great way for dispensaries with multiple locations to add content with relevant keyterms to specific geographic areas.